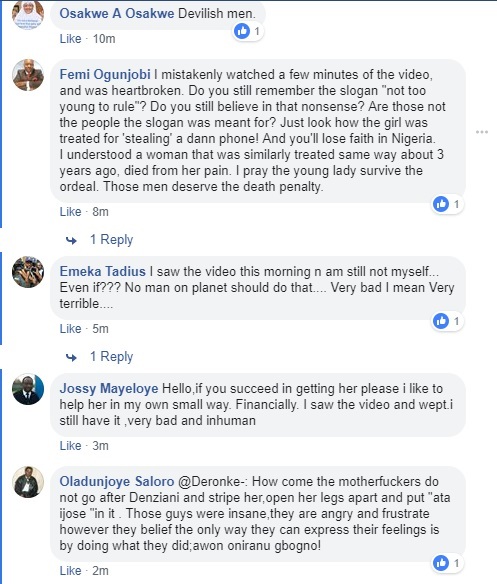 A Nigerian activist, Laila St. Mathew-Daniel has cried out on Facebook after a slay-queen was brutally tortured over accusations of stealing a phone. 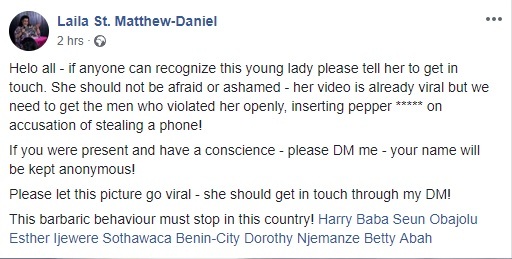 It was gathered that the unnamed woman was stripped totally unclad by her accusers and had pepper inserted into her private part to teach her a lesson following the allegation. The men also filmed the brutal torture which was meted out on the accused and posted the video online which has now gone viral.